Chelsea Harms-Tuohy in her classroom. When marine biology alumna Chelsea Harms-Tuohy decided to move to Puerto Rico after graduating from Florida Tech, she didn’t know Florida Tech would follow her. But every summer she and her husband, fellow FIT alumnus Evan Tuohy, host about a dozen Florida Tech students, who descend on the island for a two-week coral reef ecology field course with their professor, Ralph Turingan, Ph.D., of the Biological Sciences department. 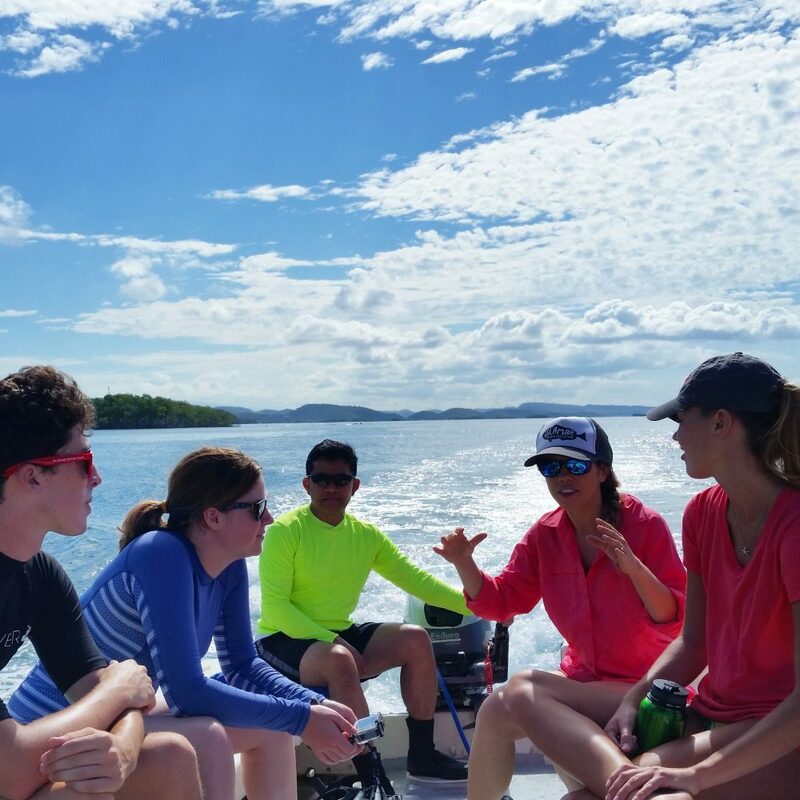 As co-owners of Isla Mar Research Expeditions in Puerto Rico, they organize and lead field courses, train young scientists interested the skills they need to conduct field research in the marine biology system, coordinate internships and lead local outreach and research. The couple both graduated from Florida Tech’s marine biology program, Evan in 2009, and Chelsea in 2010, earning her master’s in 2011. “As alum, we are really excited for this on-going partnership that allows us to network with current students and give back to our alma mater that helped shape our careers to what they are today,” Harms-Tuohy said. During the course, students gain experience in field research methods like underwater visual census and fish identification. They explore the marine environment and learn about the entire coral reef ecosystems, including mangroves and seagrass beds. 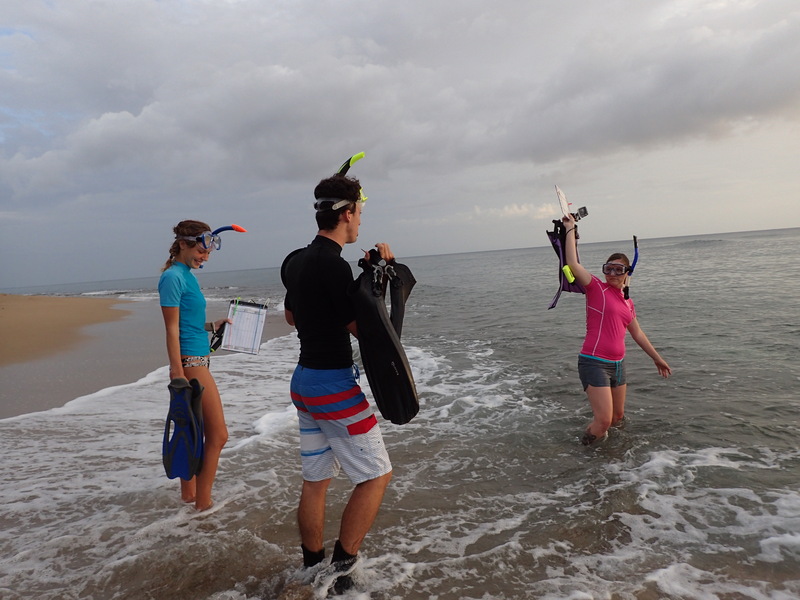 During their stay, students help with local research and monitoring of an important marine reserve in Puerto Rico, the Tres Palmas Marine Reserve in Rincon. They are taught how to conduct surveys to assess fish abundance and diversity, coral reef health and habitat composition and complexity of the reef. Sierra Gipson is a psychology student with a concentration in animal behavior who will graduate from Florida Tech with her bachelor’s in May 2018. She was part of the recent field course at Isla Mar and says the experience has motivated her to pursue marine biology. 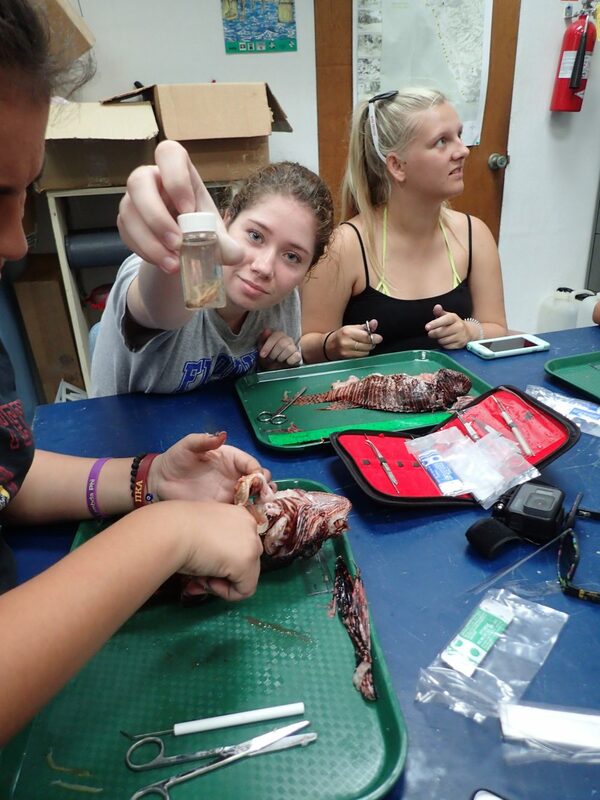 Another student in this summer’s program, Erin Walters, currently works as an electrical engineer but decided to go back to school to follow her dream of working in marine science. Walters expects to graduate from Florida Tech with her master’s in ocean engineering in 2018. As part of the program, there are also plenty of guided hikes and excursions. Students also had the opportunity to tour a small-scale, organic local coffee farm and network and learn from local scientists who lectured about their on-going research in Puerto Rico. 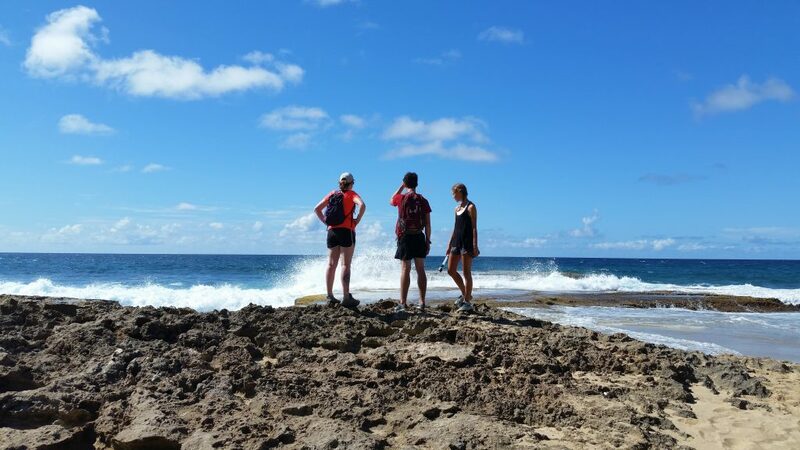 “Every year has something new, but there is one thing we always keep the same, our goal to give students a very hands-on experience with field research and explore hidden gems of the island of Puerto Rico that they wouldn’t find on a vacation,” Harms-Tuohy said. “We have had the opportunity to network with these students and we are so proud to hear that many of them have gone onto graduate school or found jobs in their field, and that the training they received here made them all the more competitive in the job market. The couple has coordinated and worked with FIT on this course since 2012, but officially as Isla Mar since 2015. 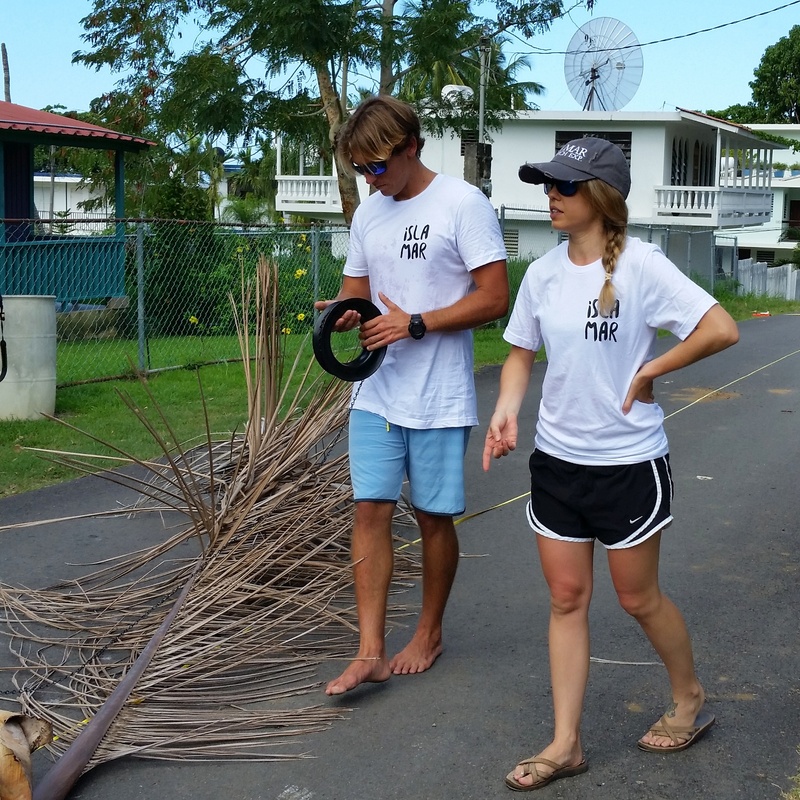 Last year, Harms-Tuohy earned her Ph.D. from the University of Puerto Rico, Mayaguez and focused on monitoring and managing the lionfish invasion in Puerto Rico. Aside from her business, she also works as an independent biologist for projects around the Caribbean ranging from habitat vulnerability assessment, the environmental impact of industry on fish assemblages, monitoring spawning aggregations of commercially important fishes and participating in the NOAA National Coral Reef Monitoring Program to assess fish and coral communities on a biannual basis.